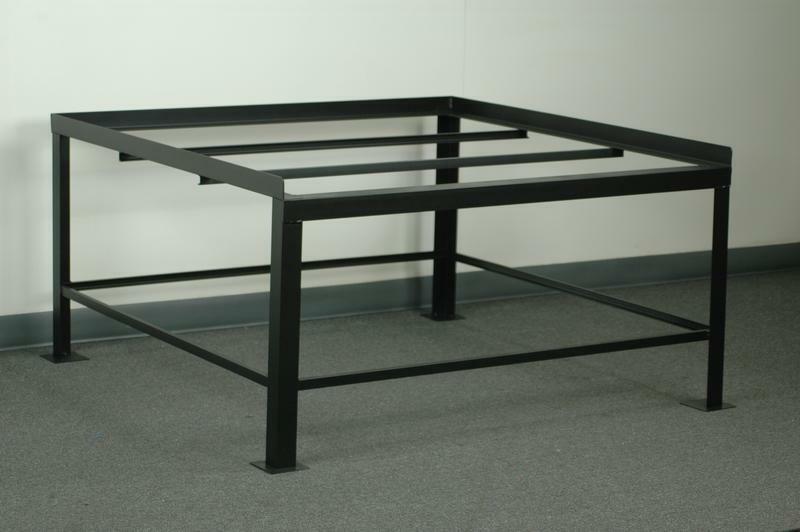 This stationary pallet stand is a fully welded unit that has a 2400# capacity. We make these units out of 2" x 2" angle iron in combination with heavy gauge reinforced steel on. Units are available with a solid top or bottom if necessary and can include fork pockets below to allow for easier movement with heavy loads. Side braces to keep product from falling off are also available if needed.